cover beyond the Premium Payment Term. • Want additional benefit in case of disability. 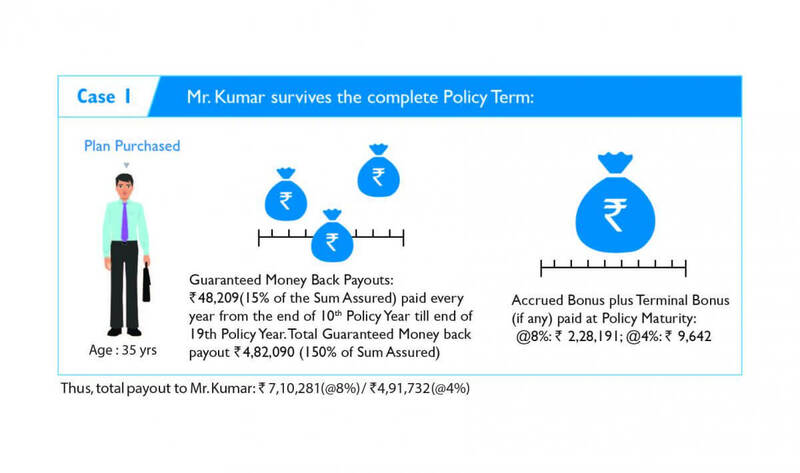 Mr. Kumar (Age 35 years) opts for Aegon Life Regular Money Back Insurance Plan. 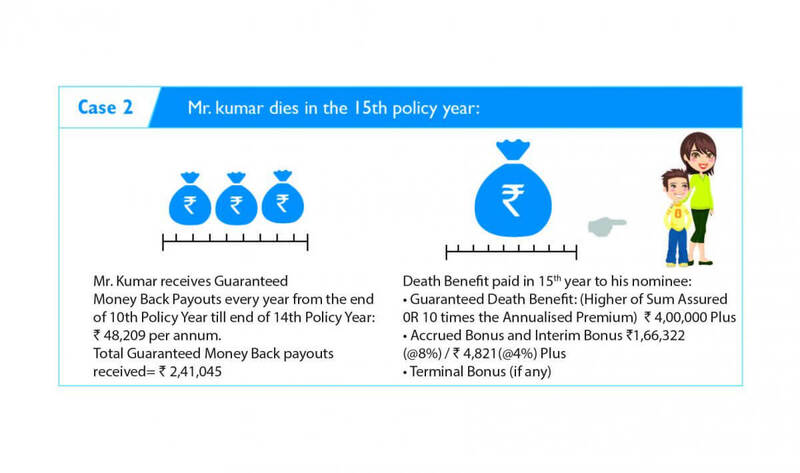 Increase in benefit amount every year by bonus accrual. Choice of Premium Payment Terms to match your financial needs. Loan available for meeting unplanned financial requirements. Maximum - 55 years last birthday for 7 pay and 10 Pay option. Maximum - 75 years last birthday for 7 pay and 10 pay options. 80 years last birthday for single pay option. Will depend on the age of the Life Assured, Premium Payment. Term opted and the premium amount. • Choose the premium amount and the frequency. Your Life Cover will be calculated basis this. • Our Life Advisor will help you fill in the application form. • A cheque will have to be drawn in favour of Aegon Life Insurance Co. Ltd.
• Expect a verification call from Aegon Life call centre, once you apply for the policy.